When shopping for sunrooms, you’ll see a number of different options made with a number of different materials. 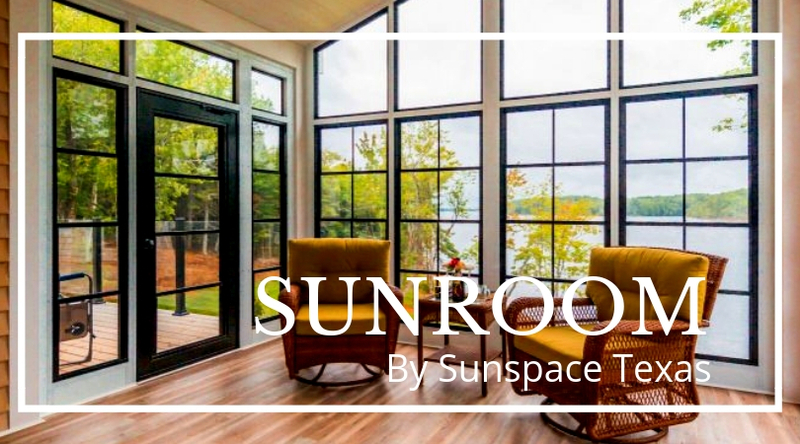 Even at Sunspace Texas, we know that one sunroom does not fit all homes and we offer several different options. In addition to regular glass windows, you may see a few options, such as our Model 200 WeatherMaster sunroom, made with vinyl glazing. But what’s the difference between vinyl windows and glass for your sunroom? Can vinyl offer any benefits that glass can’t? The answer is yes. Here are a few advantages to choosing a vinyl sunroom. While glass is harder than vinyl, it’s also more brittle and breakable. Vinyl has a flexibility to it that makes it much more durable. That means vinyl will be able to hold up to the elements, through storms, stress, and extreme temperature changes. If you have kids, vinyl is safer because they’re much less likely to break a vinyl window. And in the long run, vinyl glazing will probably outlast the lifespan of regular glass windows so you can enjoy your sunroom for longer. Polyvinyl chloride (PVC), used to make vinyl glazing, has excellent natural thermal performance. It stands up well against the summer heat, so it resists warping or cracking. In the winter, it holds heat in. This not only makes your sunroom comfortable, but energy efficient. In terms of the WeatherMaster Vinyl sunroom, you can also adjust the amount of sunlight let into the sunroom through various glazing tints, so your sunroom can enjoy as much light as you like without the need to rely on electrical lighting. If you’re concerned with your environmental impact, a vinyl sunroom could be the perfect choice. The durability of vinyl lends itself well to a low environmental impact, as does the energy efficiency. But beyond those benefits, vinyl is also recyclable. If one day you decide to replace your sunroom screens or remove the sunroom altogether, you can recycle the vinyl windows so that vinyl manufacturers won’t have to produce as much raw material. For busy homeowners who want to cut down on their housework, vinyl is definitely the way to go. It’s so low maintenance that it’s practically maintenance free, requiring only the occasional wiping down to stay in good condition. Vinyl windows have a sleek, smooth surface, and given their durability, they easily resist tears and scratching as well as warping and distortion. A vinyl sunroom is perfect for the kind of homeowner who wants to set up the sunroom and then simply enjoy it, without having to fuss over the maintenance. Our Model 200 WeatherMaster Vinyl Sunroom is just one of our terrific sunroom options, but may be the perfect choice if you’re looking for a way to incorporate the benefits of vinyl into your home. Whatever you choose for your sunroom, it’s important to choose a trusted sunroom company with over 25 years of experience for the installation. Contact Sunspace Texas today for more information or a free quote.